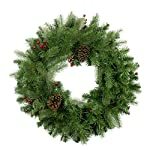 Christmas trees have long been the symbol of the holiday season but they have always been a pain. You have to pick them up, set them up, and decorate them. 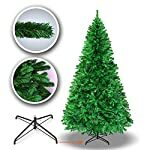 You can get fake Christmas trees, but they don’t have the same glamour. Recently we have seen a brilliant new trend. 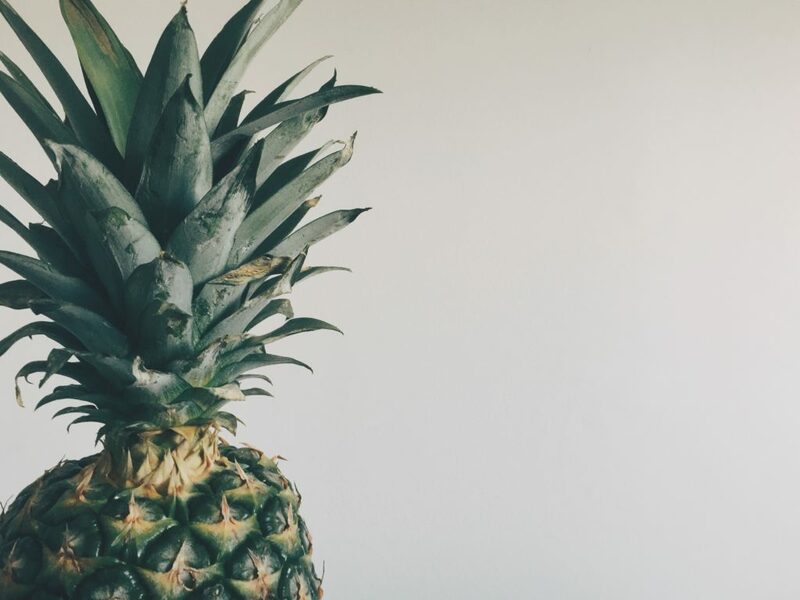 People are decorating pineapples like Christmas trees. While it’s not quite clear where the first pineapple Christmas tree came from, it stems from a much larger trend. In the last few years, Christmas trees have gone up in price and some trash companies won’t haul them away at the end of the season, costing you even more money. 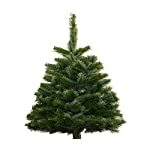 As a result people have been searching out alternative Christmas tree designs. Some other trees we have seen were book trees, Halloween trees, cardboard trees, chalkboard trees, and more. 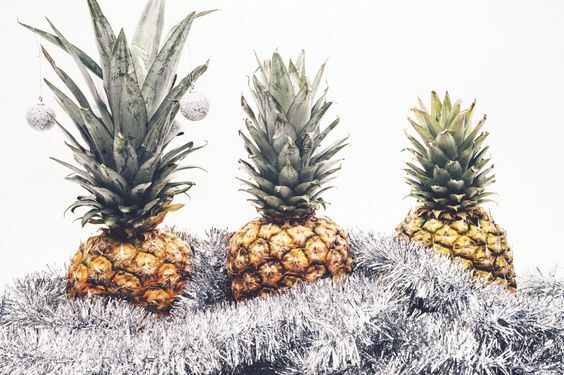 So far, our favorite for alternative Christmas trees is the pineapple Christmas tree. Why? Because a pineapple is a perfect design for a Christmas tree. It has fronds and the colors even match what you would expect from a tree. One of the sources of the pineapple Christmas tree might be the recent Halloween trend of using pineapples as jack-o’-lanterns. They may not be as scary but they will make you stand out against other houses. You can take a Christmas pineapple and decorate it just like a normal tree. 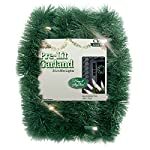 Ornaments can hang from the individual fronds and you can wrap strings of other decorations around it and you can even light them up. You might need to get a little creative with the lights, as light strings aren’t typically short enough to go around a pineapple. A pineapple Christmas tree also takes up far less room than a normal tree. You can even fit them on your counter. 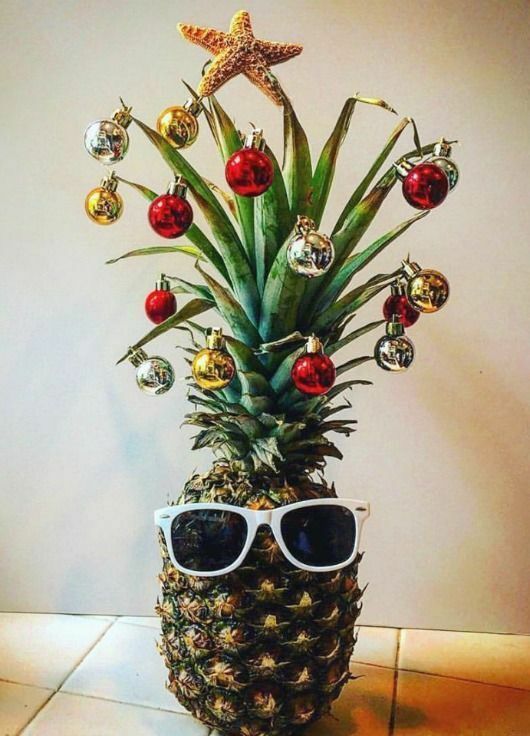 This pineapple Christmas tree knows what is going on and has the sunglasses to back it. The starfish star at the top of the tree also adds a tropical bonus to it. 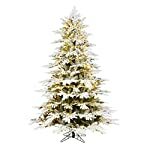 Tropical Christmas trees with a little less flair but they still stand out in any home. You can put several together to create an even more interesting design. 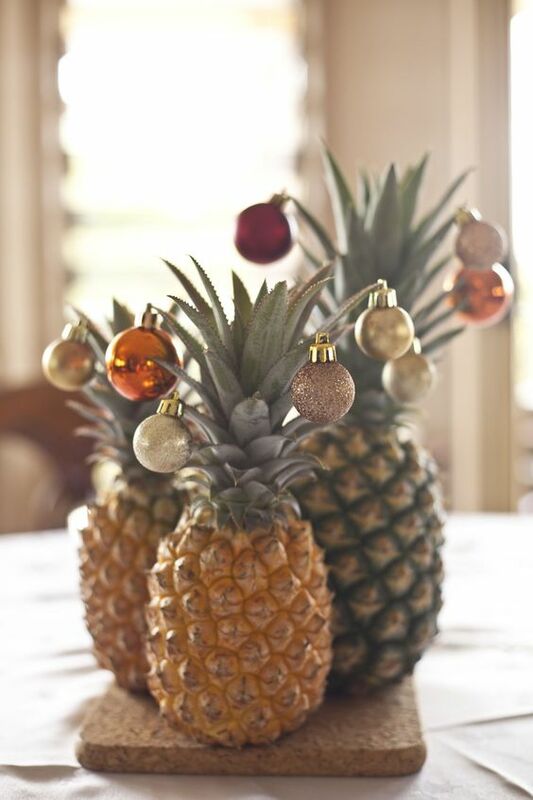 Together these three pineapple Christmas trees look a little frosted with great ornaments hanging from them. The bed of decorations they sit in makes them almost feel like they are sitting down in snow. 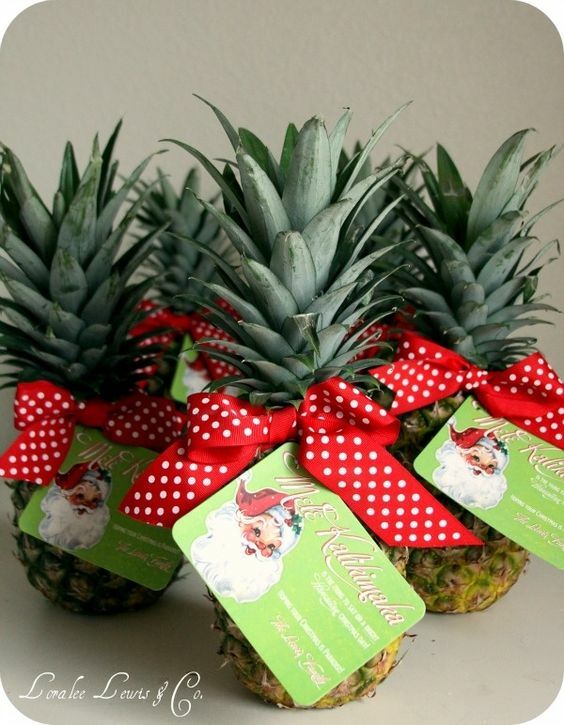 Don’t forget to tie a bow around your pineapple Christmas tree to give it a little bit of an extra touch. Let’s take a quick look at the benefits of having an artificial Christmas tree. Just because artificial trees have these benefits, doesn’t mean they are full of benefits. They have their drawbacks, just like everything else. What kind of Christmas tree are you going to get this year? How are you going to decorate it? Let everyone know in the comments down below.